War can give birth to stories. World War I has given mankind a story that will never be forgotten. The story starts with Harry Colebourn. 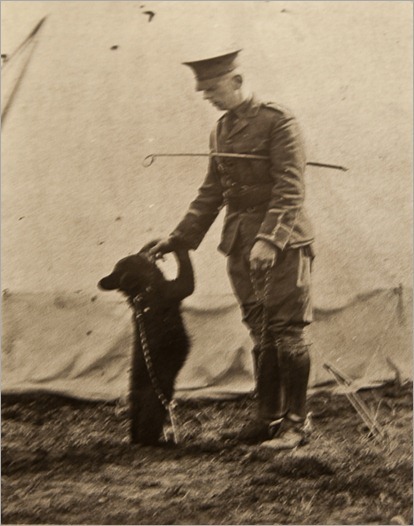 Lieutenant Harry Colebourn purchased a little American black bear from a hunter who had killed the cub’s mother. He paid $20 for it. A live bear for $20 might look a small price, compared to the current prices for bear cubs. Today the prices will float around $10,000 for a cub. Harry Colebourn, born in England in 1887 moved to Canada when he was 18. Winnipeg became his adopted hometown. When moving back to the east to embark for duty during World War I, he came across a hunter selling a female bear cub. Colebourn bought the cub and named her Winnie, after his adopted hometown, Winnipeg. 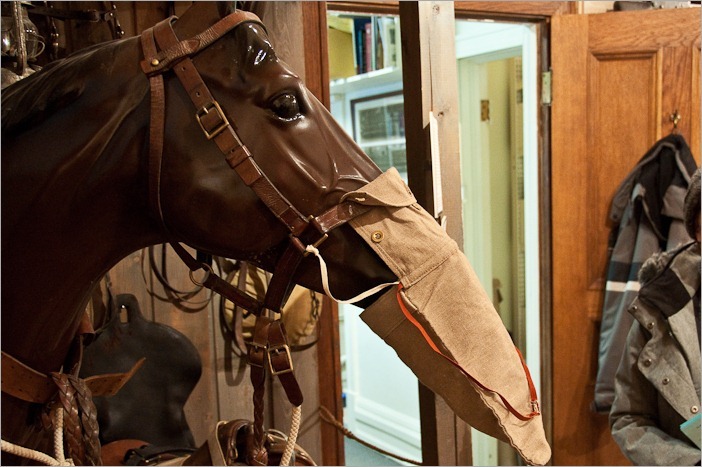 He took her with him to Europe and in England Winnie became the unofficial mascot of the Fort Garry Horse regiment. 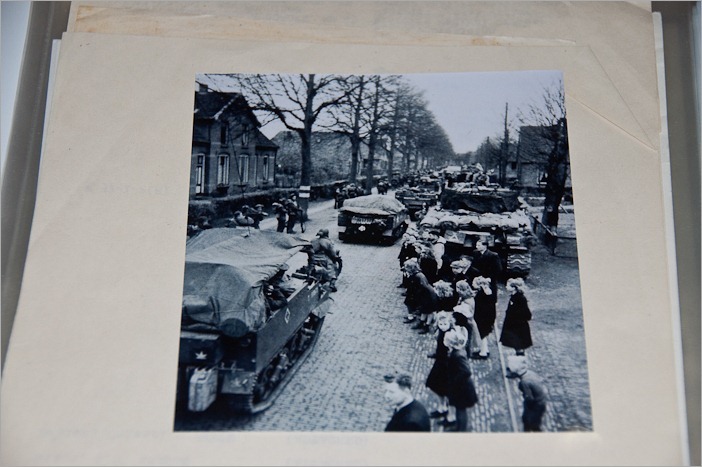 Of course there was no possibility to take her into the “action” of the war. Colebourn then donated her to the London Zoo. After the end of the war, Colebourn went back to Canada finished his studies and became a veterinarian surgeon. But Colebourn was a veterinarian and not a writer. The bear Winnie remained in the London Zoo until she died in 1934. 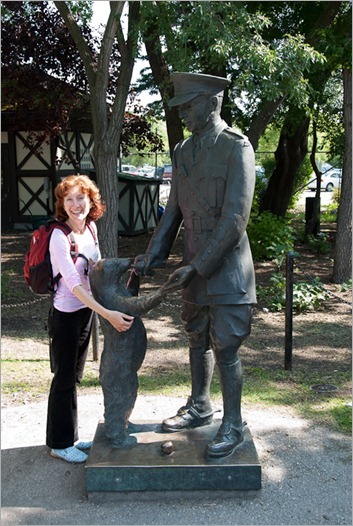 Arthur Milne’s son Christopher Robin Milne, encountered Winnie in the zoo and was so stricken with her, that he named his little toy bear Winnie-the-Pooh. Winnie was very friendly and everyone, let’s say bold enough, could go in the cage with her and play with her. A story we all know the outcome from: stories about Winnie-the-Pooh. The hyphens were dropped by The Disney Corp who bought the stories and the character. From then on, the rightful “owner” of Winnie may only call the little bear “Winnie the Bear”. When I talk about the “rightful owner” I am talking about the Fort Garry Horse regiment. 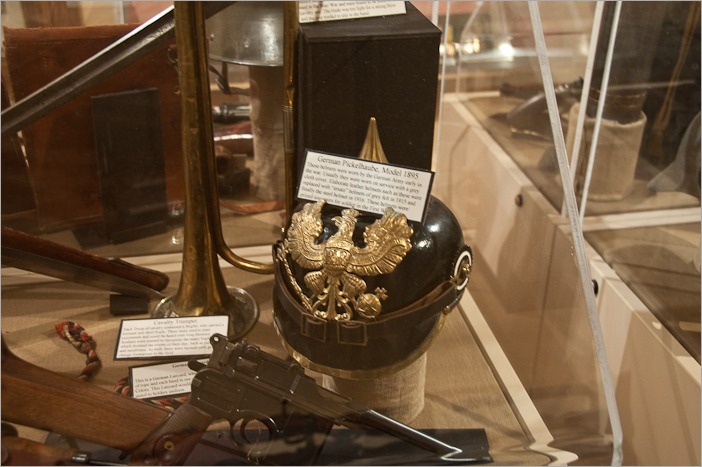 The Fort Garry Horse regiment still exists and has a museum full of very interesting objects. Among these objects, pictures of Winnie the Bear and Lieutenant Colebourn. Of course the museum has many more things. On a small surface in the Fort Garry Horse Barracks in Winnipeg (551, Machray Avenue, Winnipeg) the museum holds a real treasure of information. From WWI German helmets, yes the ones with the spike on the top to plastic horses. Hmmm, plastic? Yes, but only for display. The regiment has long ago done away with horses on the battlefields. The horses here are for display and show the gasmasks that were specifically made for them. WWI was renowned for the gas warfare and not only the soldiers were inflicted with the gas, also all the horses that were used for transport. Obviously they needed gasmasks as well. 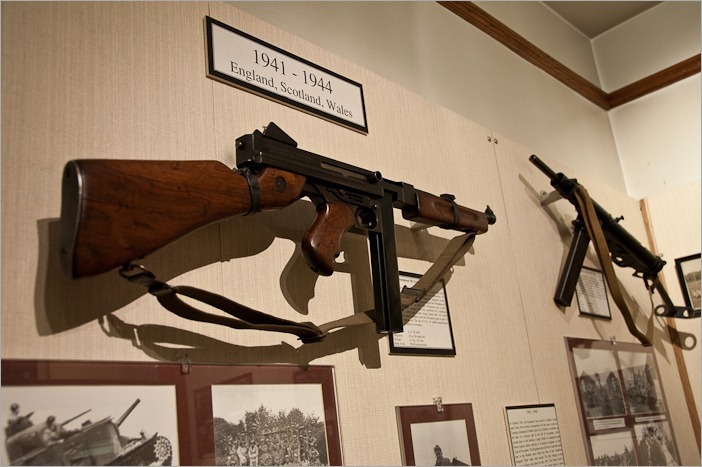 Other artefacts in the Fort Garry Horse Museum are weaponry from WWII and more recent times. They are constantly expanding their museum territory, although I think very soon they will burst out of the place the museum occupies today. 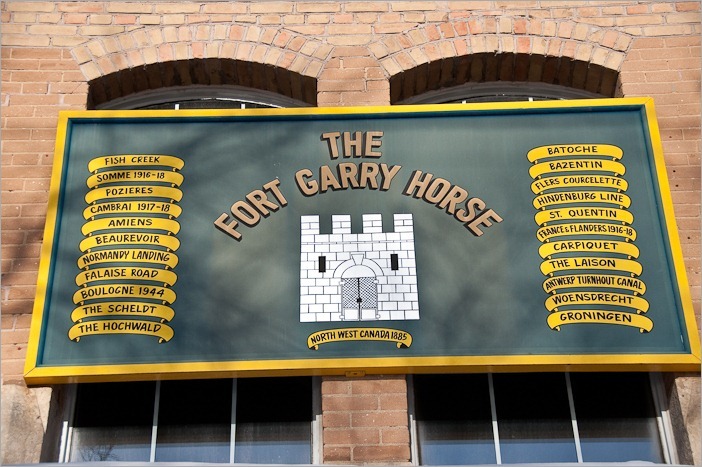 When my GPS told me “Fort Garry Horse” museum, the last thing I had in mind was the army. I was more thinking in the lines of stables and live animals. The only live beings we saw in this place were far too young to be displayed in a museum. The soldiers are all very much alive and ready to move. It’s really a nice place to go and look around. Visits are on Mondays only, and a call for an appointment will be appreciated, everything will be ready for you with a captivating history told by the curator. Entry is free, but space is limited, call before arriving!